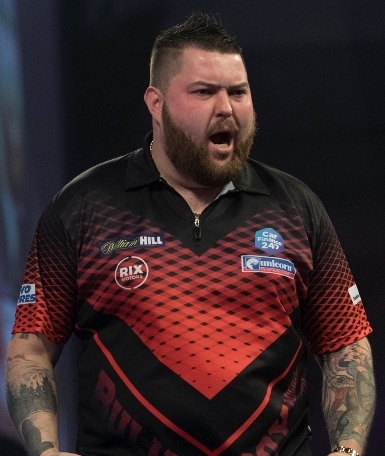 Michael Smith is in darting dreamland. The Unicorn star is in the World Championship Final after winning an absorbing clash with Nathan Aspinall. But it won’t be an all-Unicorn final after Gary Anderson failed to fire and lost to Michael van Gerwen on Sunday night. Smith though was simply sensational. The performance of his life in the match of his life. 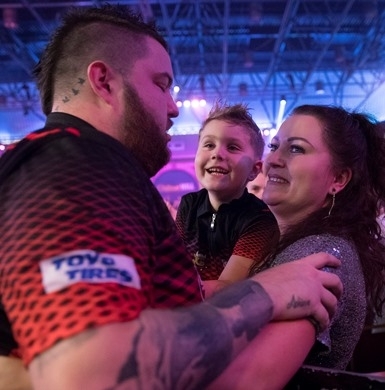 He hit 17 x 180s which is an individual record for a World Championship semi-final. A brilliant 105.22 average, 51% on the doubles and an incredible five ton-plus finishes, including the match-winning 121. Aspinall was also inspired as the pair gave us an Ally Pally classic. Both players were terrific. The match was played with so much respect as two fantastic talents went toe-to-toe on the biggest stage in the world. There was no sign of the drama to come when the Unicorn star made the perfect start as he won the first seven legs of the match. Two sets up and his opponent was really struggling. But from nowhere Aspinall found something special. Smith threw for a three-set lead but Aspinall took it and the next and we had a level game! Smith had already hit nine 180s, three big finishes (108, 100, 136) and was averaging 105 and was only level. The 5th set was pivotal. Back-to-back 180s from Aspinall and an 11 darter saw him lead for the first time. Smith played brilliantly to force a deciding leg and it was arguably the best leg of this or any World Championship. Smith 140, Aspinall 140, Smith 134, Aspinall 134, Smith 134, Aspinall 180 to leave 47 and Smith hitting 93 on D9 to win the set. Wow! Aspinall wouldn’t go away and levelled again. The St Helens star hit the front again with a 90 finish on the bull to make it four sets to three. Then he really put his foot in the gas. A magnificent 16th 180 and 130 finish on the bull to break the throw and finally break his opponent. This time Aspinall couldn’t respond and Smith won six straight legs, claiming victory in style with a brilliant 121 check-out. There were 29 x 180s in total. Sadly, no all-Unicorn clash and Anderson will be hugely disappointed. In the end he won only seven legs in his eagerly anticipated showdown with Van Gerwen. Gary started superbly with a 127 finish on the bull, but as it turned out that opening set was crucial. It went to a decider. Anderson was sat on 44 to win it only for the Dutchman to hit ‘tops’ with his last dart. After that Anderson started missing important doubles and his opponent just cashed in. Van Gerwen took control and went five sets clear before Anderson got a set on the board. The Scot should have won the seventh set as well. In total he hit 11 x 180s, but double trouble cost him and Van Gerwen cleaned up. But now this is Smith’s time on New Year’s Day!